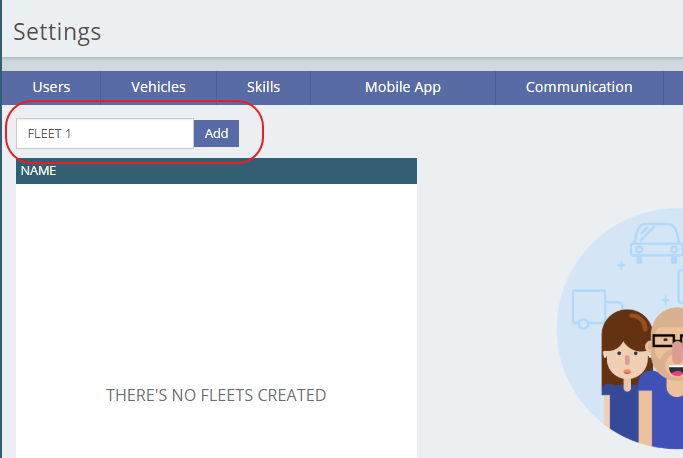 In this module you can put your vehicles into groups called Fleets. You'll be able to filter your vehicles by fleet when creating routes or tracking deliveries. Important: This works like a filter. You won't be able to hide fleets from other admin users in your account. Any administrator user can filter and see the rest of the fleets created in the account. To start using this filter, you must have the Fleets activated in your account. Contact us to activate it. Go to the Settings menu and click on the Fleet tab to create fleets. Important: If you still want to create fleets using all of your vehicles at the same time, we recommend creating a fleet with all of them. 3. 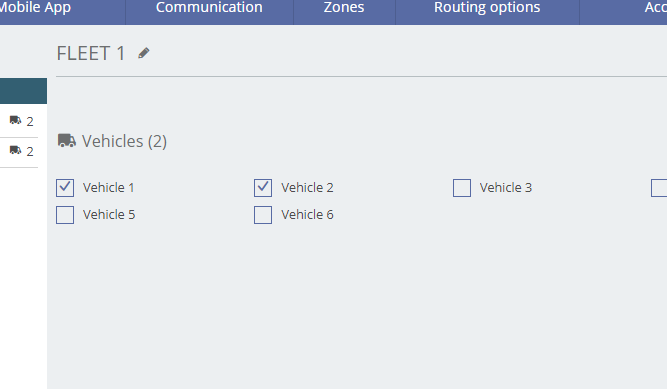 You will now able to select the fleet you want to route from the drop-down list in the first step of the Routes section. 4. 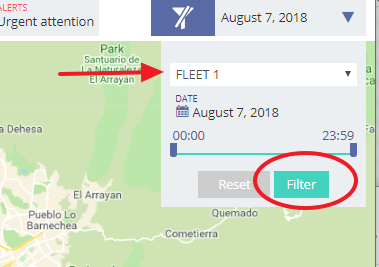 To filter by fleet in Tracking, click on the date filter in the top right corner. Select the fleet from the drop-down list. Remember to click on Filter to apply the changes. You will only see the activity of the vehicles included in the selected fleet.